Pim van Lommel, M.D. worked from 1977-2003 as a cardiologist in Rijnstate Teaching Hospital in Arnhem, the Netherlands, and is now doing full-time research on the mind-brain relation. 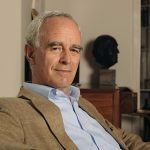 Since he started his research on near-death experiences (NDE) in survivors of cardiac arrest in 1986 he is the author of over 20 articles (most of them in Dutch), one book and many chapters about NDE. In November 2007 his book ‘Endless Consciousness’ (Eindeloos Bewustzijn) was published in The Netherlands, which is a bestseller with more than 145,000 copies sold. His book has been published in German, English, Polish, Spanish, French, Italian and Latvian; in 2018 it will be published in Hungarian and Chinese. These editions have sold more than 250,000 copies worldwide. – Van Lommel, P. Near-Death Experience, Consciousness and the Brain: A new concept about the continuity of our consciousness based on recent scientific research on near-death experience in survivors of cardiac arrest. World Futures, The Journal of General Evolution, 2006; 62: 134-151. – Van Lommel, P. Near-death experiences: the experience of the self as real and not as an illusion. 2011; Ann. N.Y. Acad. Sci. 1234: 19-28. – Van Lommel, P. Nonlocal Consciousness. A concept based on scientific research on near-death experiences during cardiac arrest. 2013; Journal of Consciousness Studies, 20, No. 1–2 : 7-48. See also www.pimvanlommel.nl , and www.consciousnessbeyondlife.com .